BriteView specializes in manufacturing custom backlight components including light guides, LED strips, LED drivers, CCFL lamps, CCFL inverters, precision cut optical films, and NVIS filters. BriteView Technologies offers custom-designed, high efficiency backlighting systems and components including light guides for single and dual mode operations; light sources for backlighting; LED strips; LED drivers; high performance CCFLs with specified chromaticity, configuration, and dimming; inverters for CCFLs; and films. BriteView Technologies can design and manufacture custom LED light sources to meet your application's requirements. The LED light source and the LED strips can be made for efficient heat dispassion, compact size, color stability, and long lifetime. BriteView Technologies has developed an efficient thermal management technology, which uses an isolated metal substrate to minimize the effects of temperature on the color in LEDs, for good thermal management. BriteView Technologies provides high performance, DC-to-DC converters to drive high voltage LED arrays. 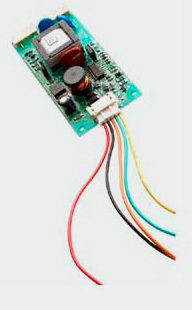 The LED driver provides a wide PWM dimming range without the color shift normally associated with LED current dimming. The internal PWM signal achieves digital dimming of up to 3000:1 while analog dimming with 8 bits MCU achieves dimming of 1000:1. 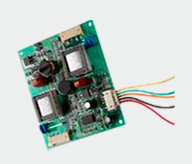 The LED Drivers can protect against open circuit, under voltage, soft start, and over temperature conditions. BriteView Technologies can design and manufacture CCFLs with high efficiency and long lifetimes. Because we use only quality materials and production procedures, our CCFL lamps provide on average 10-20% higher brightness than consumer lamps in notebook computers and can be used for very high dimming applications. Our custom lamps use hard glass to maximize the lamps lifetime and operating temperature range. The lifetime of a 2.6mm diameter lamp is over 50,000 hours. 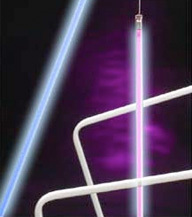 Lamps with diameters of 1.8mm to 4 mm are available. BriteView Technologies can provide custom designed and manufactured inverters that match the lamps, offer a high dimming range, and achieve high performance. Inverters can be designed for analog or digital dimming. Inverters can also be coated or potted for operation at high altitudes. The inverter/driver units are custom made to satisfy your special requirements, including unique dimensions to fit in user-specified backlight housing. The inverter can be made to achieve high dimming ratio. Dimming control can be digital (push button) or analog (use a potentiometer). A special dimming scheme with hybrid light source, CCFLs for high brightness and LEDs for very low output brightness, is particularly suitable for achieving a very high dimming ratio. Power supply and control for heating can also be included in the inverter/driver unit to warm up the lamps for low temperature operation. Optical and thermal sensors can also be incorporated in the inverter/driving unit to provide feed-back for thermal and inverter power control. BriteView Technologies provides high performance, DC-to-DC converters to drive high voltage LED arrays through its sister company Clio Technologies. The LED driver provides an especially wide PWM dimming range without the color shift normally associated with LED current dimming. The internal PWM signal achieves digital dimming of up to 3000:1 while analog dimming with 8 bits MCU achieves dimming of 1000:1. The LED Drivers can protect against open circuit, under voltage, soft start, and over temperature conditions. 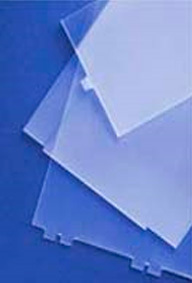 BriteView Technologies can provide precision cut optical films and special films to meet unique customer requirements. Special films can be used to expand the viewing angle or eliminate the non-uniformity in LED displays. Beam Angle Expander This film/plate expands the divergent angle of backlights so that it is suitable for LCDs with a wide viewing angle. The films/plates can be made to increase the viewing angle in x, y, or both directions. Active area expander This plate expands the viewing area of the backlight. This product is particularly suitable for backlight displays that have an extremely small border area. This revolutionary Flat Collimator is developed to backlight displays requiring extremely high efficiency. It sends essentially all input light towards the viewer. Specially designed Flat Collimator light guide can be used to achieve dual mode (day/night vision) application. With the viewing area expanding technology, the Flat Collimator Backlight can illuminate essentially from edge to edge. BriteView provides high quality NVIS filters that satisfy military requirements. The filter reflects long wavelength red and infrared light. The custom made LED Strip can be made from an insulated metal substrate for heat management. LED Driver LED driver will be custom made for high efficiency, compact size, and high dimming ratio. BriteView Technologies provides backlight assembling services to install enhanced backlighting solutions into your chassis and perform testing and inspection of assembled backlight systems. We also provide a wide range of lamp assemblies, which include lamps, lamp rubber sockets, lamp wires, and lamp connectors. We can provide lamp assemblies made according to your specification. BriteView Technologies has design engineering, comprehensive quality and assurance inspection center, and a Class 100 clean room for the assembly of LCD backlight solutions and a precision machine shop for production of optical components, films, light pipes, and chassis for backlight installation. With our precision machine shop, BriteView Technologies can design and manufacture metal chassis to integrate its backlights into customers display systems optimally.